Be kind to the environment and limit your liability by using a Norwesco polyethylene containment tank. Federal, state and local agencies are enforcing stringent rules and regulations regarding spills, leaks and overflows from primary containment tanks. These spills can be hazardous and costly and with that in mind, Norwesco designed their containment basins and tanks to meet your containment needs. 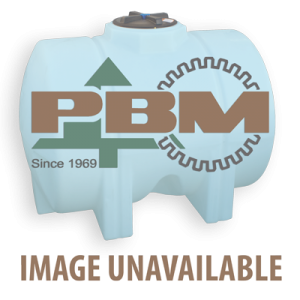 Our containment basins and tanks are impact and corrosion resistant and are molded as a one-piece, seamless unit. 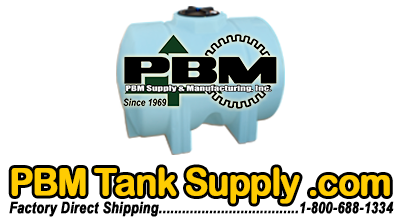 The 250, 500 and 1300 gallon sizes are "basin style"; the 1350 is an open top tank and the 2800 "Tank In A Tank" is molded with a dome that can be cut off to enable it to be used as a containment tank. Required containment capacity may vary depending on application and location. 140 gallon black poly containment basin without plumbing. 250 gallon black poly containment basin without fitting. 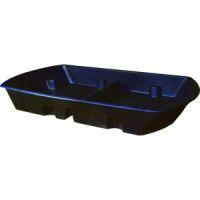 360 gallon black poly containment basin without fitting. 500 gallon black poly containment basin without fitting. 600 gallon black poly containment basin without fitting. 1,300 gallon black poly containment basin without fitting. 2,800 gallon poly containment basin without fitting. 7,500 gallon poly containment basin without fitting.